Kimberly "KJ" Morris made her mark on the world with her "larger than life" persona on stage. Morris was one of the 49 people killed at the Pulse nightclub on June 12, 2016, but her legacy will live on to inspire LGBT youth. 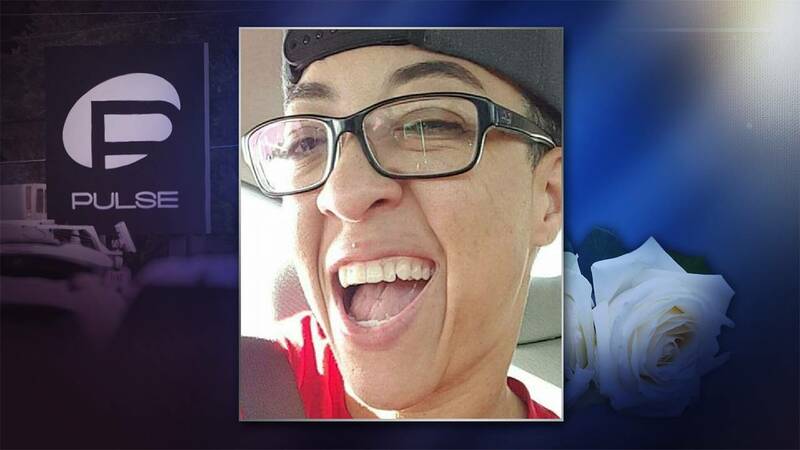 KJ was 37 years old when she started a new job at the Pulse nightclub as a bouncer. One of her close friends, Nelson Roman, spoke with News 6 in a Skype interview a few weeks before the one year anniversary since her death. "I met her; I loved her from that point. I was devastated and shocked, as many were that this is coming on the year anniversary," Roman said. Roman met Morris in 2007 at a club in Hartford, Connecticut. "KJ" or "Daddy K" was her Drag King name, performed at the club. And I was this young, 18-year-old right out of the closet, young gay guy," Roman said. "I remember I had just performed with a drag queen called Spice at the time and Daddy K came up to me and was like, 'Oh my God you're an amazing dancer!' And I, like, melted." Morris went to college at Post University in Waterbury, Connecticut where she played basketball. Roman said Morris’s character Daddy K was well known at Northhampton Pride and loved to perform Justin Timberlake songs. Roman said it was a big surprise to hear she had decided to move to Orlando to be closer to family. "I remember the day before she moved away, I was at the Bing theater, she was at a gas station, she gave me the biggest hug she said, ‘Don't stop dancing, I'm going to miss you guys. I'll be back,’" Roman said. When the news broke of the mass shooting at Pulse nightclub, Morris' friends in Western Massachusetts were worried. "We had heard that KJ was working there, and so we just thought she was one of the individuals that might've been lost or hurt, you know, communication was rough. But as the night progressed and we found out that she in fact was one of the victims, we were devastated," Roman said. Thousands of people in Western Massachusetts attended vigils to mourn the victims of the shooting. Roman said the first-ever LGBT event in the history of his hometown of Waterbury, Connecticut, was held in honor of Morris. Morris was an athlete, a performer and an advocate for youth. "A lot of people, like, they didn't know that side of her. They knew that she was working there, they didn't get that human context that she was a human that she inspired many," Roman said. "I'm an ugly drag queen, but I'm an amazing backup dancer for drag queens. So it inspired me and a whole generation of young people." Her legacy lives on now in the form of the KJ Morris Memorial scholarship, created by Roman and his LGBT nonprofit group, called the Imperial Court. Every year the group gives two $500 scholarships to LGBT and allied youth. There isn’t another person that could take Morris’ spot on stage. Copyright 2017 by WKMG ClickOrlando - All rights reserved.